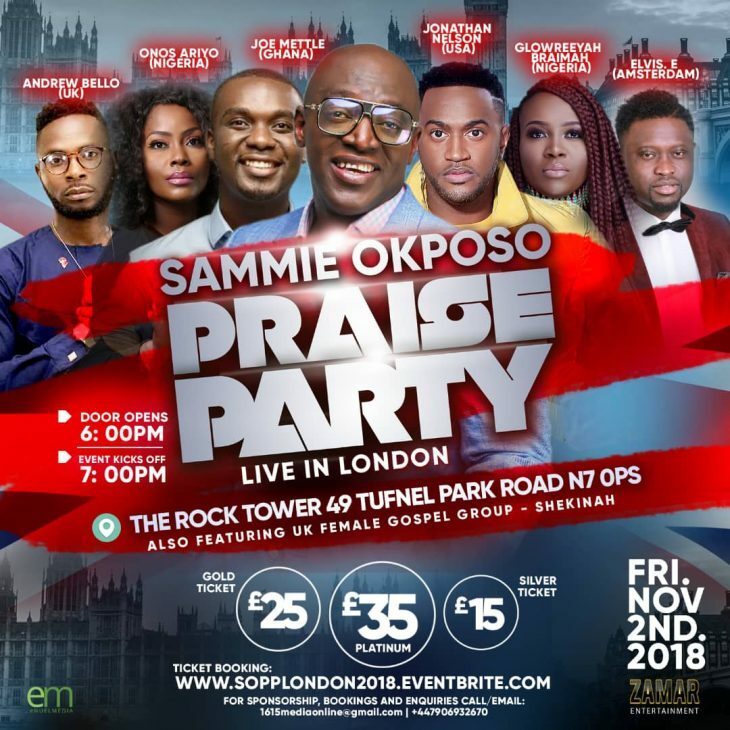 AGMMA 2018 Song of the Year award winner Sammie Okposo has chosen London to host his first ever UK Live Recording concert for his forth coming album this November. He has titled this the ‘Sammie Okposo Praise Party’. Joining him on stage is American based artist Jonathan Nelson – singer of ‘Finish Strong’ and part of the Integrity Music family, Ghanaian based gospel artist Joe Mettle – first musician to win VGMA Artiste of the Year in his genre and Andrew Bello – one of UK’s most exciting Afro- Gospel artists. The rest of the line-up consists of artists from countries like Amsterdam and Nigeria. 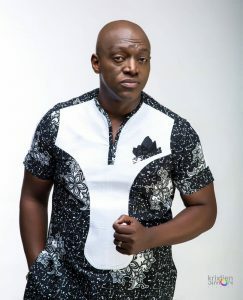 Sammie Okposo is a Nigerian gospel artist, a music producer, psalmist, entertainment consultant and the CEO of Zamar Entertainment. In April 2018, he won the Best of Africa award at the SABC Crown Music Awards. He is credited for producing hit songs for the biggest names in the Nigerian music scene. He has shared the stage with some of the biggest names in the industry like Donnie McClurkin, Tasha Cobbs, Kirk Franklin and many more. 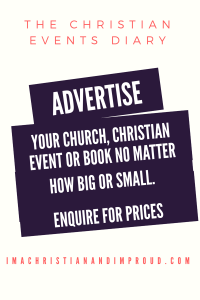 The singer of ‘Oluwa E Tobi’ will hold the Praise Party at The Rock Tower 49 Tufnel Park Road N7 0PS on Friday 2nd November 2018. Hillsong Walks away from the Assemblies of God Denomination.